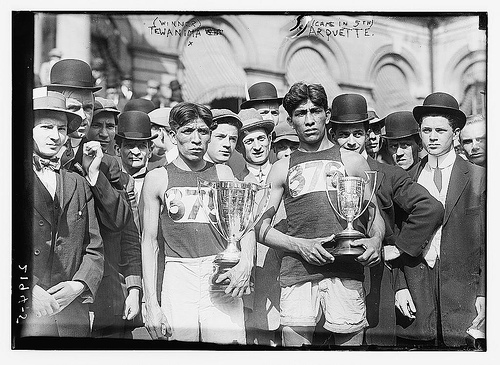 This entry was posted on August 7, 2008 at 3:22 am and is filed under Carlisle Indian School, Jim Thorpe, Pop Warner. You can follow any responses to this entry through the RSS 2.0 feed. You can leave a response, or trackback from your own site. I am researching Native American Olympians at the U of Washington. Do have a list if Native Olympians, medalists and participants? I don’t have a complete list, but think the list is complete for the early years. Perhaps a reader has such a list or knows where one can be found.